For flashing phone HTC Sensation uses a special application package for Android developers SDK Tools. The firmware is in service mode of the phone through normal USB cable that came in one package with the device at purchase. Before re-flashing, download the latest version of software available for HTC Sensation. To download you can take advantage of the resources on the software for this phone. After downloading the appropriate archive with the firmware, unzip it using an archiver to a folder on the computer. Download the Android SDK from the official Android. Install the received software package using the installer. If you have not installed HTC Sync, make its installation, because along with it comes a package of all the required drivers for flashing. Put the phone in Fastboot mode. To do this, turn off your HTC, and then remove the battery and reinsert it into the machine. Turn on the smartphone, while simultaneously holding the power button and side volume down key. Wait until you see the selection menu of boot options. Among the proposed options, select Fastboot using the volume buttons. Confirm your choice by pressing the top power button. Connect your smartphone to the computer and wait for unpacking the right drivers. Run the program adb.exe you can find in the folder with control software for Android ("start" - "Computer" - "Local disk C:" Program Files – Android – SDK – WindowsPlatform - Tools – ADB). Start adb.exe you can make clicking on the right mouse button on the file and selecting "Run in command prompt". Enter the prompt fastboot oem get_identifier_token and press Enter. Copy the result from the operation key on the official HTC website in the section unlocking the device for which you will need to register by filling the required fields. After the transition to Step 10 paste the code from the command line in the appropriate section and click Submit. On your phone have the unlock code in the format unlock_code.bin. Download this file and place it in the same directory where is located adb.exe. In the command prompt, type fastboot flash unlocktoken unlock_code.bin. If the operation was done correctly, you will see a corresponding message on the screen of your device. Select Yes. After the introduction of these commands the device will restart and the new firmware will be installed on the device. It is recommended to download and install only the official firmware files to avoid possible difficulties in using or maintaining your phone in the future. Before flashing, save all your data on your computer, because in the process of installing new software they will be lost. 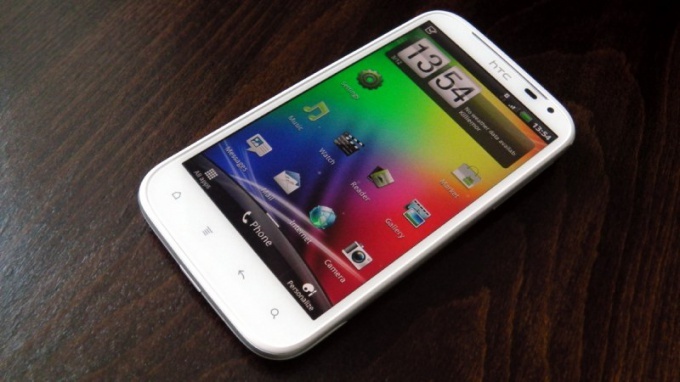 Save your important data will help the program HTC Sync.